We had the pleasure to interview Andy Rosen, founder of Sendergram, a US-based company providing a blockchain platform for digital media creators, offering a unique ecosystem through which artists can secure their creation from concept to delivery. You founded Sendergram a few years ago, what can you tell us about your company and a little background about you? Andy Rosen (AR): Sendergram​ provides a blockchain enabled file-sharing, review, delivery, transaction and payments solution for digital media for all creative types. The platform offers an ecosystem through which artists and all creative stakeholders can share files, track engagement, review and discuss work, make deliveries and process payments. Sendergram provides verifiable proof of the existence, provenance, integrity, and authorship of any digital file, intellectual property, transaction or communication. Sendergram leverages the blockchain for security by continually registering tracking, and certifying every step of the creative process. 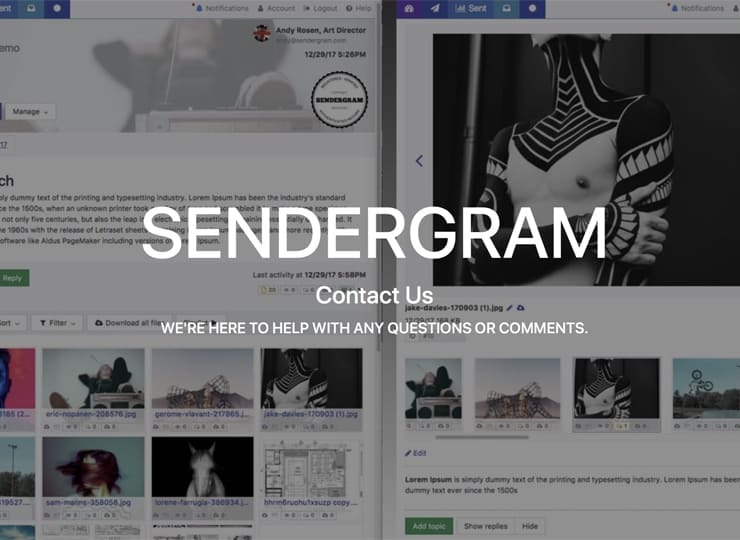 Sendergram was founded by Andy Rosen, Bjoern Graf and Peggy Steevensz, in 2016. Originally from London, England (I now live in L.A). I started my working life as a rock photographer covering the London Punk scene (​andyrosenphotos.com​). I have exhibited in London, Sydney and Los Angeles. I have sold to collectors like Peter Morton, owner of the Hard Rock Hotels where my pictures are used throughout the hotels and restaurants worldwide. I also licence images for publication on an ongoing basis. I have had four exhibitions. My first exhibition was at the Photographers Gallery, London in 1984. Sydney, Australia in 1986. Los Angeles, USA in 1989. Until my recent exhibition in July 2015 at the Proud Gallery, London I was too busy being an entrepreneur. I moved to Los Angeles at the end of the eighties which coincided with the birth of MTV. I started The Underground – a leading LA-based video, film, advertising and music company by importing the first wave of British video directors. Between 1991 and 1998, The Underground became well known for managing and producing some of the most innovative videos and TV commercials of the era. ( Marilyn Manson, Red Hot Chilli Peppers, Dr Dre, David Bowie, Ozzy Osbourne, Metallica, Dave Matthews Band, Van Halen, Metalica, Tricky Nike, Fila, Lexus and Coke) (​The Underground showreel​). By 1997 I began to focus my attention on software development. The highlights of which were initiating Motown Records first online web strategy. I founded a software company, The Brain.com an information management solution. Desktop Toys.com the first Internet toy which enabled users to interact with and manipulate 3D animated toys licensed to Electronic Arts. Icasts.net built for Universal Studios and one of the first web applications to cast an entire feature film online. The last decade I have been developing digital asset management and collaboration solutions for the creative industries. Looking back on it now each part of my career from photography, film production to software development has involved working with digital assets, workflows and the creative process from concept to delivery. Sendergram is the result of all of my experiences. I understand that Sendergram takes its users from “concept to delivery”. Can you please walk us through your business processes? How do you secure and protect a creative process? Sendergram is an integrated solution with four main components which support and help secure creative process from concept to delivery. First, we aggregate all of a users cloud storage services in one place so files can be accessed and shared easily. Second, we provide a layer of productivity features to send, share, review, deliver, and process payments. Third, a layer of notifications, tracking and a certified audit trail registered in the blockchain. 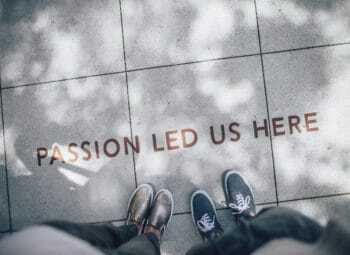 Forth, blockchain registrations to establish the existence, providence, authentication and ownership of creative works. Sendergram leverages the blockchain for security by continually registering, tracking, and certifying every digital asset and every step of the creative process from pitching the concept, through production, delivery and payments. In order, to maintain data integrity, and provide verifiable proof of authenticity Sendergram automatically generates a unique time-stamped digital signature (cryptographic hash) for each file or creative work. The individual file signatures are then combined with a digital signature of all activity and events including file downloads, views, additions, comments and payments. This combined information generates a unique, immutable digital signature of the entire creative process. As new events happen, the registration is updated, and a new blockchain receipt is created. The digital signature is then cryptographically signed, time-stamped and registered an verifiable in Bitcoins blockchain. Often to protect the creative process (unlike the art world) the most valuable piece of information being transferred is not always the file itself, but the conversation, activity and the context around a file. Think of it as the provenance of a creative exchange which can include important files, ideas and intellectual property. We believe for Sendergrams target market combining IP with tracking and meticulous records from conception to finished work with unique cryptographic ID’s, verified with blockchain delivers unprecedented protection, transparency and accountability to the creative process. In a nutshell, Sendergram registers in the blockchain an immutable audit trail which reinforces and makes copyright easier to defend, infringement harder, and helps to reduce misunderstanding and disputes at every stage of the creative process. In a legal dispute having meticulous records is essential. Sometimes the best protection is simply to let people know everything is being tracked and audited. 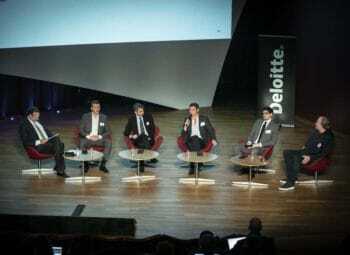 You mentioned that Blockchain was only a small component of your solutions, can you please develop on that? Sendergrams Blockchain features are not “only a small component” they are an integral part of our ecosystem. They are but one aspect of an integrated feature set. File sending, tracking, payment and the aggregation of storage services are also part of the Sendergram solution. In fact, Sendergram has two blockchain registration features. Users can register in the blockchain one or more digital files – as can many other emerging web services. Sendergram helps to protect users not only by registering a file to prove attribution but also by tracking and registering the whole communication, transaction and event: what was discussed? what was agreed upon? what was downloaded? What was viewed?. Sendergrams tracking is extremely granular. All participant interaction is logged through an immutable time-stamped activity record. In this way, Sendergram is uniquely focused on utilizing blockchain for auditing a communication trail in addition to registering and time-stamping a digital file in the blockchain. Verisart and Artlery are often seen as your main competitors, and you seem to disagree with such statement. How do you position Sendergram on the market and who are your main competitors (if any)? Sendergram is first to market with a blockchain-enabled content collaboration, transaction and delivery solution for digital media specifically developed for the creative industries. On the surface, it appears that Sendergram operates in an extremely competitive environment. However, no other company offers an integrated feature set that competes directly with Sendergram. To equal Sendergrams feature set a user would have to cobble together a combination of different solutions. Sendergram supports all creative types: photographers, filmmakers, musicians, screenwriters, journalists, designers, advertising and digital agencies, art buyers, galleries, sales reps, and production teams as an example who create, produce, own, traffic and transact with copyrighted or intellectual property. 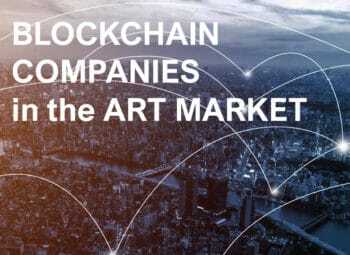 Most blockchain solutions like Verisart and Artley in the art space are pretty much built around a blockchain registration for an individual creative work mainly for authentication, verification and provenance to support the buying and selling of art. In various configurations, these solutions tackle the primary pain point for the art world. Sendergram is different. I didn’t come from the art world. From my career experiences, the pain point I set out to fix was to help enable, protect and certify creative process and less about authenticating and registering the provenance a single artwork. Sendergram can do that as well. By default, all digital assets are blockchained automatically when sent or shared in collaborative workflows. Our users can also manually register creative works or any digital file for proof of existence, authenticity and verification similar to Verisart and Artlery. This would be the only similarity between us. For Sendergram users their everyday workflows are focused on the creation, production and delivery of content and to protect the process. This includes the sending, reviewing, discussing, transacting and delivering multiple digital assets. It can consist of intellectual property (it doesn’t have to) as well as other data and proprietary information in the form of ideas, pitches, drawings, references, budgets and agreements, etc. It can be one file or in some cases terabytes of data of a duration. Sendergram generates multiple blockchain registrations automatically throughout an exchange, registering each digital asset and all participant engagement. This is a very different use case than the likes of Verisart and Artlery. Personally, I feel that there is a lot of speculation around all these recent ICOs. In many art-related start-ups, I believe that having a token does make no or very little business sense. What do you think? I think it’s very early days for ICO’s. The concept, the structure and legalities are still being tested and defined. As a self-funded-startup, I like the idea as in principle it can and has already delivered a new and viable way for startups to raise money outside of the status quo of venture capital, angels etc. I see ICO’s as a more independent way of raising funds and maintaining autonomy and control of your business. The power of its disruptive nature certainly appeals to my punk roots. The problem so far has been that greed, hype and fraud have hijacked ICO’s making it all very murky for legitimate companies. The ICO fever has led to most companies selling tokens on concepts not based on an existing up and running product or with any obligation to deliver any financial return. The interesting thing is many token buyers don’t seem to care. As a company, we wrapped our heads around an ICO over a year ago. We also had a real working product, but we decided the timing was not right and too much of a distraction from our current roadmap. 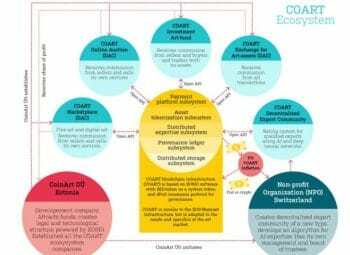 Regarding Art related ICO startups so far I have not really seen a model that makes sense, or I believe in. Most are based on ideas and future concepts with no product, revenues or defined business models. There also seems to be many ICO plays built around the notion of one the ONE register for all art. I just don’t see that at all. If anything I see many registries for art. 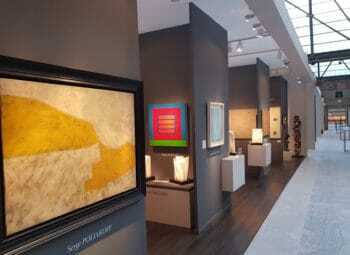 Some would be a general listing and others would specialise in the different art categories. What makes more sense to me would be to establish a standard protocol and structure for all art listings. 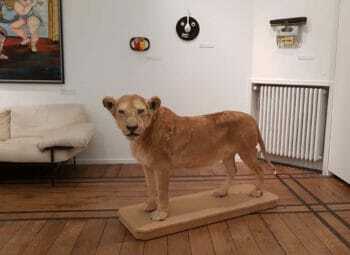 Who cares where art is registered as long as the integrity and provenance can be authenticated and the blockchain helps to deliver that part of the equation. What more important is that any interested party could search instantly across all registries. 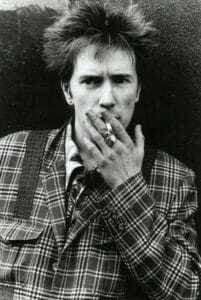 You have recently posted on ArtAndCollect a beautiful photography by you, “Johnny Rotten, Portobello Road, London, 1980”. Can you please tell us about this particular work and your artistic work in general? I have been very fortunate with timing. As explained above I left school the year Punk started, and I became one of the few staff photographers for numerous music magazines covering the scene from start to finish. I arrived in Los Angeles the year MTV took off, and I started one of the first music video production companies, called the Underground. As the heyday of MTV was winding down, the dotcom and tech era exploded, and I became very involved in the evolving technology era. Duran, Simple MInds and all major music publications and record companies. My love was portraiture photography. I looked up to artists like Arnold Newman, Avedon and Penn. Although I enjoyed photographing bands, I would always carry an extra camera and shoot individual portraits of the band members for myself. Interestingly my exhibition is made up of mostly 60 portraits I shot for myself and very few band shots. Although I am now very much involved in technology when it comes to my photography I am very traditional and a purist. I have embraced digital but use it as a means to end not as a creation tool. All of my images are shot and printed full frame no cropping and minimal manipulation digitally with tools like photoshop. Are you represented by any gallery? Right now I am not represented by a Gallery. The last few years have been a bit hectic developing Sendergam since my recent exhibition in July 2015 at the Proud Gallery, London. Since then I have been representing myself for print sales and licencing. I obviously use Sendergram to help with the process. Recently I have started to explore representation, but I have not found the right situation. I have also been wrapping my head around another exhibition in Los Angeles, Tokyo and Bejing. 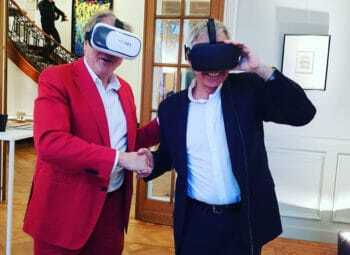 Talking about galleries and your artistic work, how do you think new technologies (from blockchain to virtual reality) will be affecting the art market? It’s inevitable that new technologies change everything it touches. Technology is already changing how art is created, produced, distributed, consumed as well as how we interact with it. The transition from analogue to digital is only just beginning, and it has already been dramatic in all the creative mediums I have worked in from photography, music and filmmaking. It seems to be now accelerating beyond anyone’s imagination. Augmented and virtual reality (AR/VR) and the blockchain as an example are going to turn everything upside down as we know it. So far most of the changes have been to the process and the tools to create art. The next level is going to change and challenge many areas of the art market in significant ways, in particular, the whole aesthetic and the whole notion of what is art and how it’s created etc. Most of the evolving technologies relate more to digital art and not traditional art. The boundaries for digital art are limitless compared to conventional art, and we are only in the embryonic stage. AR and VR is a whole new medium which is not restricted by the limitations of the physical world. This in itself will create a massive divide between traditional and new forms of digital art. In my mind, this will have the most significant effect on the art market as we know it today. Currently, my focus and area of expertise is blockchain technology. 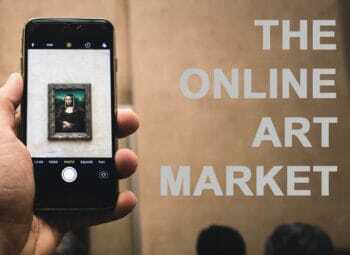 The Blockchain is set to challenge the art world in numerous ways. Firstly the blockchain/smart contracts now enable the Internet to move value which in itself adds a powerful new evolving component to the Internet as we know it today. For the art world, this will challenge the way art will be bought and sold. 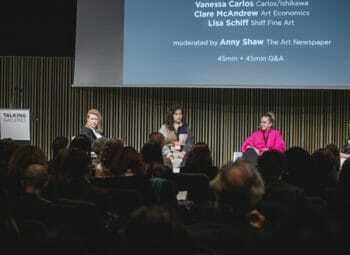 It will rock the structure of traditional galleries and their relationship with Artists. 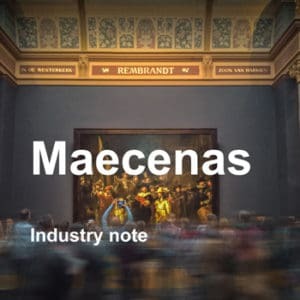 It will reduce the intermediaries between artist and consumer. 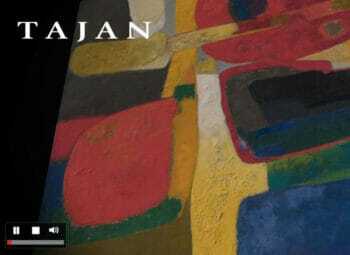 Introduce a better and more efficient way to authenticate artwork and help to prevent forgeries. Introduce transparency, trusted reputation systems and a more efficient and secure way to register and verify attribution. It will make creative work more accessible, distribution more efficient and help artists to be compensated much more reasonably. Artists will have more control over their work. Smart contracts will enable artists to set and control their own intellectual property rights, revenues and royalties and automatically allocate income to collaborators. It will simplify the complexities of rights management and reduce the time it takes to make payments. However, the blockchain is still in its infancy. 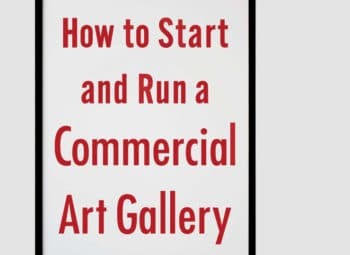 It will not deliver “THE” ultimate solution but as it evolves it will become a dominant force to be reckoned with, and it will highlight the tipping point of the art world as we know it today.